Pre School | Advanced Therapy P.L.L.C. Our experienced staff assists children ages 3-5 with developing skills necessary to succeed in future educational and social experiences. Our staff takes a team approach in providing services and assists with the transition to kindergarten. Pre-School services are designed to address a delay or lag in development for children three to five years old. Advanced Therapy helps to address the needs of children and their families who meet the criteria for services. Who is eligible for Pre School Services? When your child is referred to your school district’s Committee on Preschool Special Education (CPSE), you will be given a list of agencies approved by the State Education Department to provide preschool special education evaluations. You will be asked to select one of the approved evaluators, and sign a consent form for your child to be evaluated at no cost to you or your family. Advanced Therapy provides preschool multi-disciplinary and supplemental evaluations and will help determine your child’s strengths, needs and if he/she meets the criteria for services. Where and who provides Pre-School Services? If the CPSE finds your child to be an eligible “preschool student with a disability”, the CPSE will also recommend the program or services to meet your child’s individual needs and where they will be provided. Most children with disabilities can receive the special education services they need in settings with their nondisabled peers. 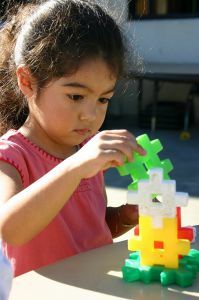 They also should participate in developmentally appropriate activities. The CPSE must consider how to provide the services in the Least Restrictive Environment (LRE), where your child can learn close to your home, with other children of the same age who do not have disabilities. Services may be provided at pre-kindergarten or Head Start program, child care location, the student’s home or other community location. It is important that parents consider environments that offer peer interaction for their children ages 3-5, as social and play skills are an important aspect of child development at this age. If your child is an eligible “preschool student with a disability”, you and the other CPSE members will write an Individualized Education Program (IEP) for your child that will list the recommended services to be provided, how often, and for how long. The recommendations will be forwarded to your local school district’s Board of Education for approval. What makes Advanced Therapy Pre-School Services different from our competitors? Advanced Therapy can state that our therapists, administration and professional skills are better than that of competitors, but only you as a consumer will be able to answer that question. I am sure that when you contact our clients, you will find that Advanced Therapy is considered one of the top companies in the area and spoken very highly of by those who work with us. So what is it that makes us different? We can offer continuity for your child by having them work with a therapist from 3 years of age throughout school age. If your child attends a district preschool it is more than likely that we are the related service provider for that district (contact Advanced Therapy to see if we service your district). This allows us to assign a therapist to your child that will continue services when they transition to school. Our staff is also familiar with the differences of pre-school and school age services. They are able to make recommendations and set goals that are appropriate to each setting. We have implemented a “Preschool Transition Form” to assist our staff with communication of your child’s needs to therapist who work in districts we do not service. How do I refer my child to the Committee on Preschool Special Education (CPSE)? For more information about Preschool Evaluations, Programs and Services contact our office at 518-867-3061 or the CPSE of your school district.